Chappie was an interesting movie for me, but ultimately it was just blah. I try to give the movies that I see a fighting chance, and Chappie had a great chance at being a good movie, it just sort of fell flat on it's face a little bit. The beginning had me hyped a bit and I was really into it, but it was just like not clicking on the character development side when it comes to Chappie and that was a huge turn off for me. I mean he eventually got there late into the movie, but by then I was just waiting for it to be over with. I saw where some of the critics compared him to Jar Jar Binks when I was reading the reviews and I thought that was kind of harsh, but after watching, it was pretty accurate. Boy did that make me sad just admitting to see with my own two eyes. As far as the cast goes, they were on par and developed nicely. Hugh Jackman is my man when it comes to movies, he's definitely one of the best in Hollywood right now. He definitely provided Chappie with a more than adequate villain for this movie. And to be quite honest, he carried the movie through the tail end, if he wasn't there in that role, that movie would've probably lost my interest well into the second act. If there is indeed a trilogy being planned, then he should definitely make his return, whether it be the in the second one, or in the last one to gain his revenge. 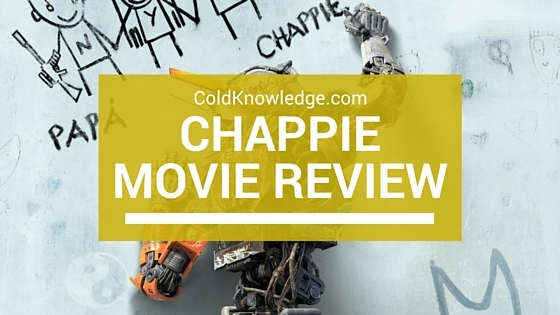 I wouldn't say Chappie is a movie that I won't recommend to see all together, just watch it very cautiously. Basically don't go into the movie expecting Oscar nods and Academy Awards to be shelled out. I would say if this movie is on regular TV, then check it out, but don't waste your hard earned money paying red box or pay-per-view to see. It's a solid B level movie for what it was working with. Have you seen Chappie? If so tell me how you feel about it in the comments below.